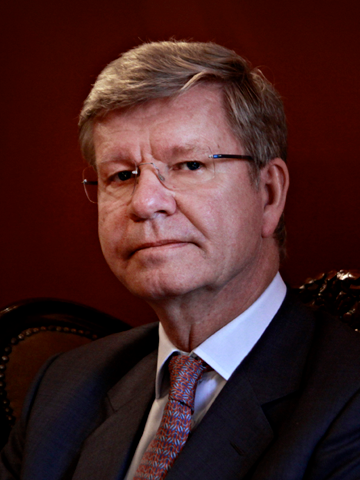 Christer Asp is a former Swedish Ambassador to Serbia, Montenegro and Turkey. In 1995 to 2000 he served as Head of Cabinet to the Swedish EU-Commissioner responsible for justice and home affairs. Prior to that he was a member of the Swedish negotiating team for membership of the EU and he has been posted to a number of Swedish foreign missions, including Washington DC, New York and Djakarta, working with a wide range of issues such as foreign and security policy, international trade and arms control. In the aftermath of the Tsunami in 2004, he headed the Swedish search and rescue operations in Thailand. Prior to joining the Swedish foreign service, he was engaged as a research officer at the International Labour Organisation, in Geneva. He holds a master degree from the University of Stockholm in economics and political science and has co-authored two book on the Swedish accession to the EU.